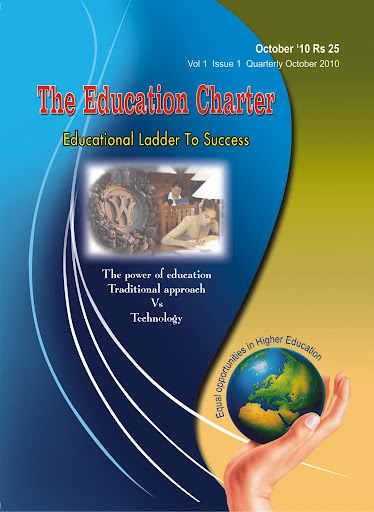 Education Charter International is collective initiative of Organizations, Academies, Governmental Body and Individuals to demonstrate their commitment to provisions of this Charter. The Founder of the Charter is International Organization of Education Charter- CCLP Worldwide (Recommended Special Consultative Status with United Nations) which has founded informal association in the year 1999 to promote the basic Education Charter which was developed in the spirit of UNESCO declaration of Higher Education for 21st Century. Over the years various consultation and debates held between stakeholders of the society under the aegis of CCLP Worldwide to further develop the scope, extent and usage of basic text of Education Charter. During drafting of new improved charter it was found that other actors of society are equally important to achieve the mission of sustainability and livelihood and Government and CSOs participation was included in the charter. Originally only Higher Education Institutions and society was part of the charter. The Charter was designed to cover all major roles of various stakeholders- Higher Education Institutions, Governments, NGOs and public to achieve common goal of Sustainability and Livelihood. The charter was made to complement various existing charter and code in the area of Education and sustainability. The drafting committee has designed introductory statement of the charter which may be used to refer the whole charter. For over 9 years the basic Education Charter has been under promotion by CCLP Worldwide for endorsement by Academic World, NGOs, CSOs, Individuals, Governmental body, student community and teaching community. The Secretariat office has received so far over 50000 endorsement of Education Charter from various stakeholders. The old endorsement doesn't require any annual reporting and doesn't entitle endorsee to use the Education Charter logo for their official purpose. As part of policies the name of the official endorsees was not made public. The newly compiled Education Charter is open for endorsement by various stake holders subject to acceptance and approval by Oversight Council. At present International Chairman - Dr Vikrant Singh is authorized by the International Council of CCLP Worldwide to act as Depository of all endorsement instruments. The International Secretariat of CCLP Worldwide is designated to manage the day to day affairs of Education Charter endorsements and signatory participants. With the permission of Chairman and passing of resolution by International Council of CCLP Worldwide an oversight Council is formed to observe the affairs of Education Charter and decide the policies with regard to its presentation or promotion. Oversight Council is required to meet once a year either by telephone or email or physical presence to discuss and approve the affair of Education Charter. With the permission of Chair new members may be inducted to oversight Council from Signatories and participants to have democratic structure to better observe the whole affairs.